GARDEN CITY, N.Y. — Former Yankees pitcher, Andy Pettitte, is scheduled to appear on Saturday afternoon on Dec. 5, 2015 from 1:30 pm to 3:30 pm to meet and greet fans where he will sign autographs and memorabilia at the Steiner Sports Store located in the Roosevelt Field Mall in Garden City, NY. For more information, click here. Andy Pettitte is a former MLB pitcher who played 17 seasons mostly for the New York Yankees. He played for the Houston Astros from 2004-2006. After the 2006 season, he left the Astros, and signed a one-year, $16 million contract with the Yankees with a player option for 2008 worth $16 million. On Jan. 11, 2007, he was re-introduced as a Yankee at a Yankee Stadium press conference. He has won five World Series with the Yankees and is a three-time All-Star. Sports Speakers 360 is a booking agent for pro athletes. 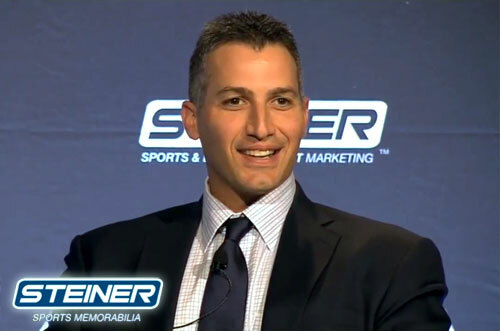 If you would like to book Andy Pettitte for a speaking engagement, appearance or endorsement, contact Andy Pettitte’s booking agent for fees at 1.855.303.5450.